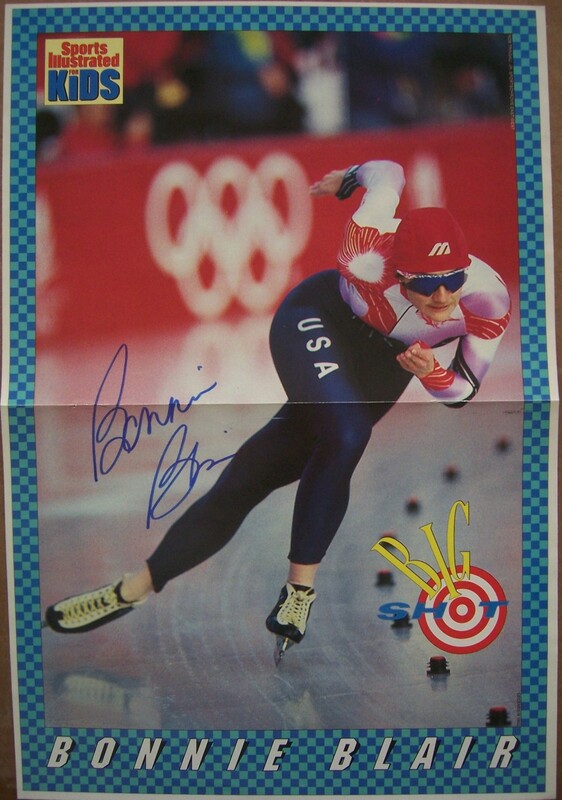 Roughly 11 by 16 inch Sports Illustrated for Kids mini poster autographed in blue marker by Bonnie Blair, probably the greatest female speed skater in Olympic history. Suitable for framing. Obtained in person. With certificate of authenticity from AutographsForSale.com. ONLY 2 AVAILABLE FOR SALE.